Launched in a single shelter in 2010, the Garden to Table program is a holistic approach to teach children the value of fresh food and nutrition, provide an enrichment activity and ultimately produce food to utilize in the cooking classes being offered at the shelter as part of our support programming. What started as a nutrition class in one shelter and an urban garden in another quickly became something more. We are proud to say that we currently have gardens in four shelter locations and cooking classes happening in five shelters. We strive for the children to take the lead with guidance from shelter staff on this urban gardening project. Yet some of these children have no idea where their food comes from. One child had never realized a plant would sprout from the dirt. With the Garden to Table program, the children are enriched by the scientific learning of gardening and the commensurate mathematics of following a recipe – all while enjoying time outside, working with their hands, getting a little messy, and having fun. 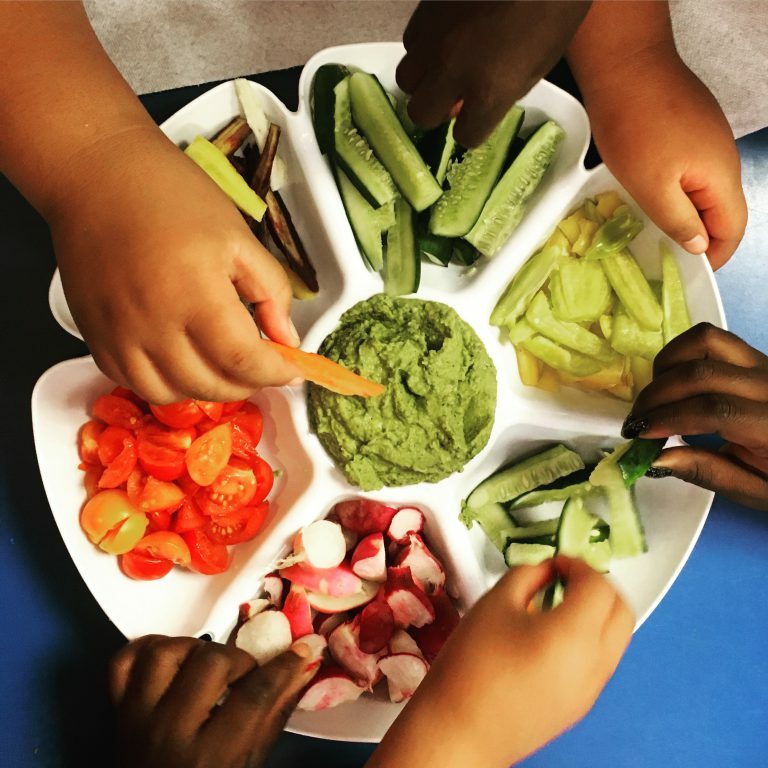 Healthy, active, and well-nourished children are more likely to attend school and are more prepared and motivated to learn.1 The Garden to Table program supports our overarching goal of academic achievement mixed with enrichment. An added benefit is allowing the community to cook and eat together, and provide a sense of normalcy for the children we serve. 1. Tufts University, School of Nutrition. Center on Hunger, Poverty, and Nutrition Policy. The Link between Nutrition and Cognitive Development in Children. Policy Statement. Medford, Massachusetts, 1994.